Pop! Vinyl Figures are about to get delicious! 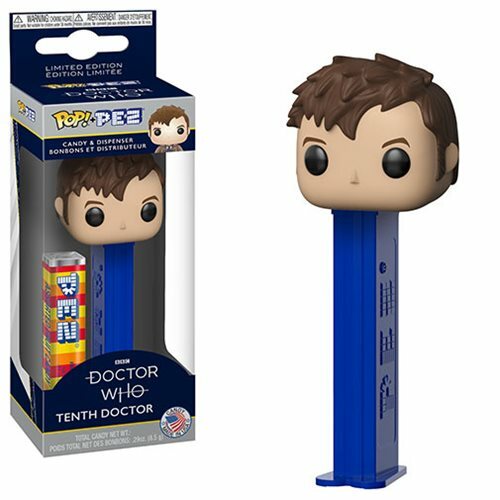 This Doctor Who Tenth Doctor Pop! Pez dispenser measures approximately 5 1/2-inches tall x 1 3/4-inches wide and includes 1x sleeve of Pez candy. Comes packaged in a window display box.